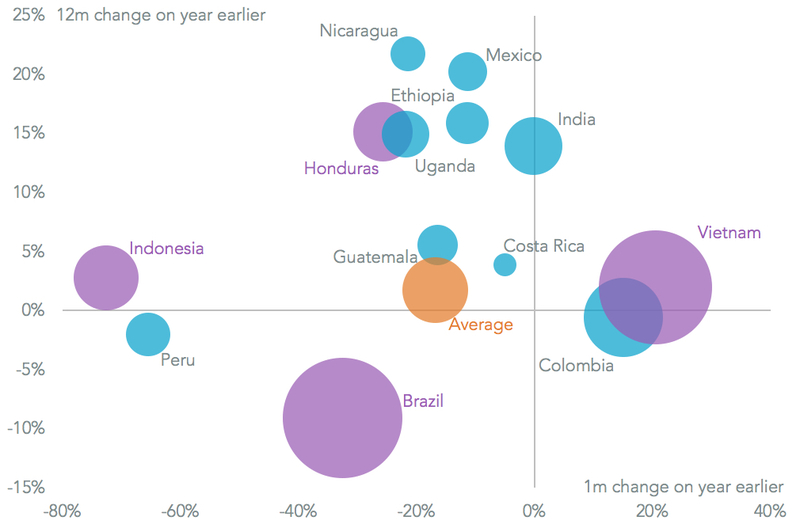 Global coffee exports collapsed in May, Panjiva analysis of ICO data shows, with a 16.8% drop vs. a year earlier. 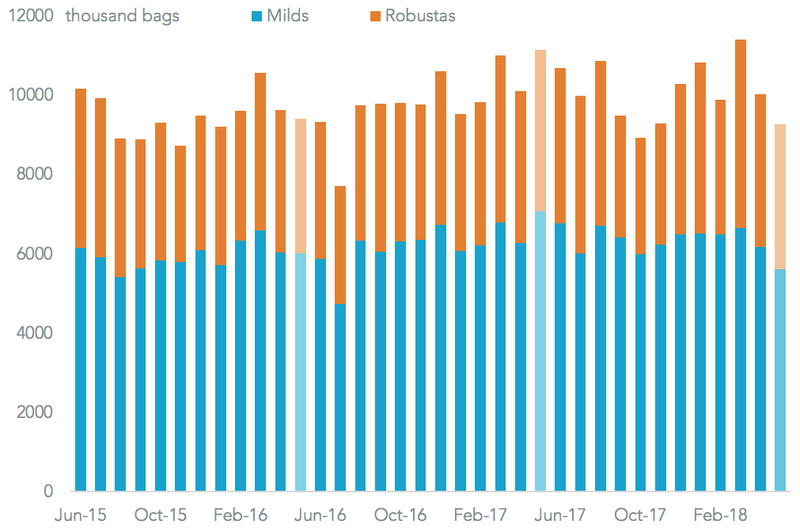 While 2017 may have proved an unusual year the shipments of 9.27 million bags was still 1.6% lower than 2016’s level. 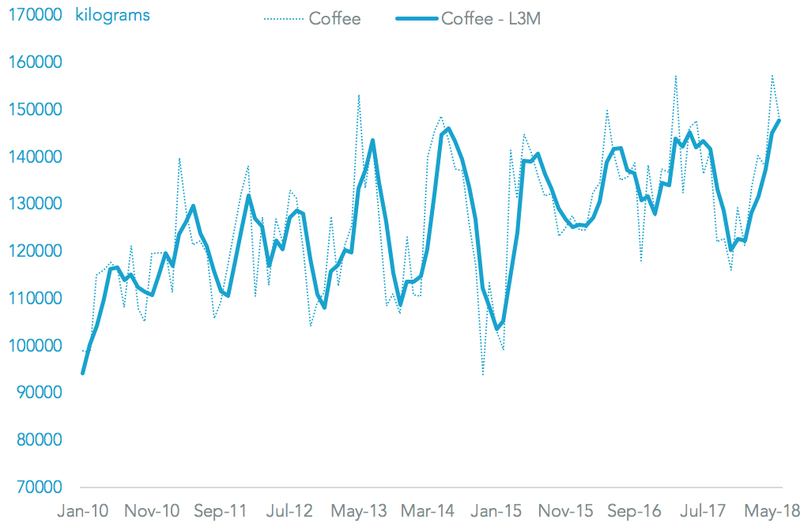 Despite that decline there’s been a 5.6% drop in coffee prices during the second quarter of 2018, S&P Global Market Intelligence shows to the lowest since January 2016. 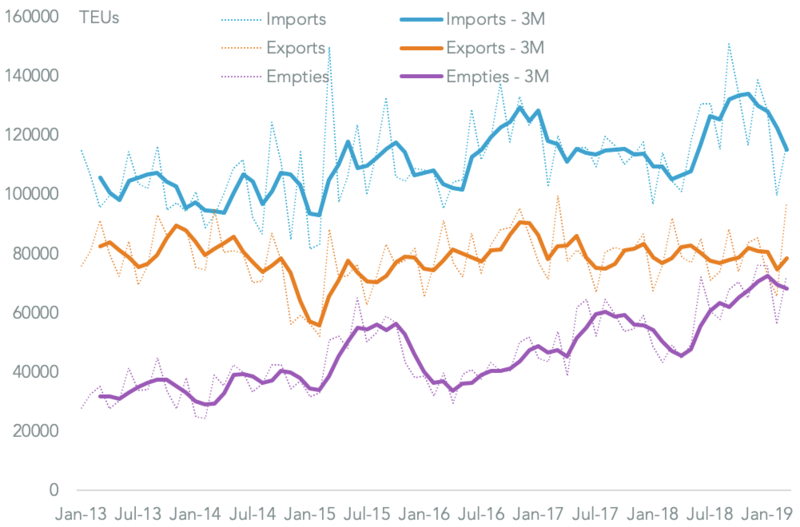 A return to contraction in supplies from Brazil led to a 32.5% drop on a year earlier, bringing the 12 month total to 9.1%. Indonesia’s shipment collapse also continued with a 72.7% slump in what is normally the start of the peak season. 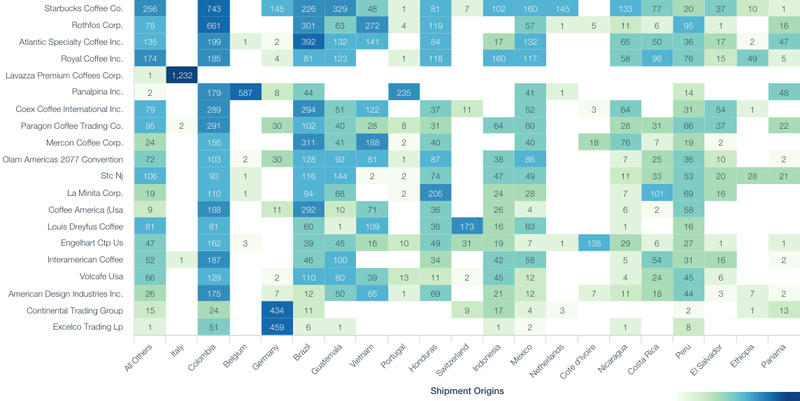 Of the major exporting nations tracked by Panjiva only Colombia improved with a 15.1% increase. 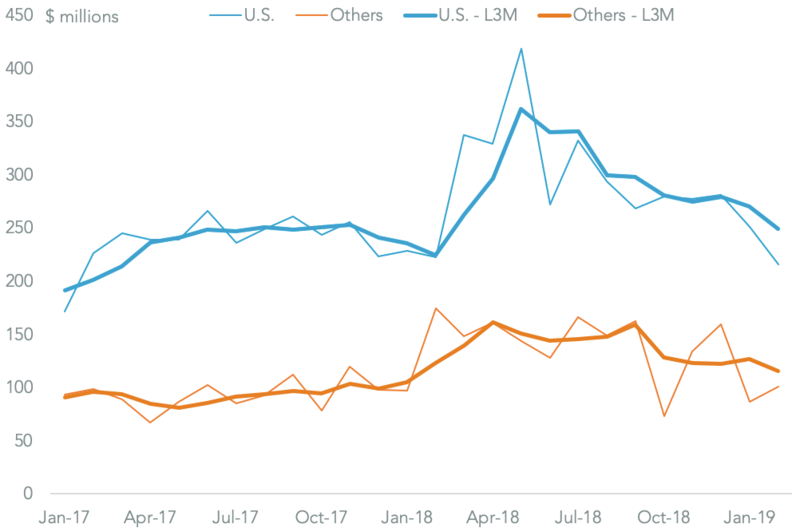 Buyers in the U.S. – the second largest market after the EU – may have been stockpiling in the face of falling supply. 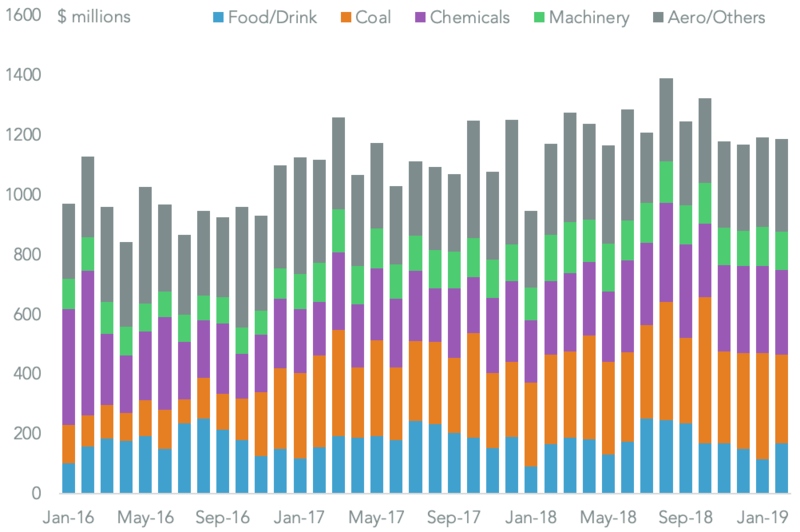 Panjiva data shows imports in the second quarter likely increased by 4.0% on a year earlier – including a 7.6% rise in seaborne shipments in the month of May alone – after an 8.4% decline during the first quarter. That resulted in a quarterly record. While underlying demand from buyers, led by Starbucks and Rothfos may be robust a reduction in stockpiling may rapidly cut demand. That would be particularly keenly felt in Colombia which accounted for 29.5% of Starbucks’s imports and 39.1% of Rothfos’s in the past 12 months. 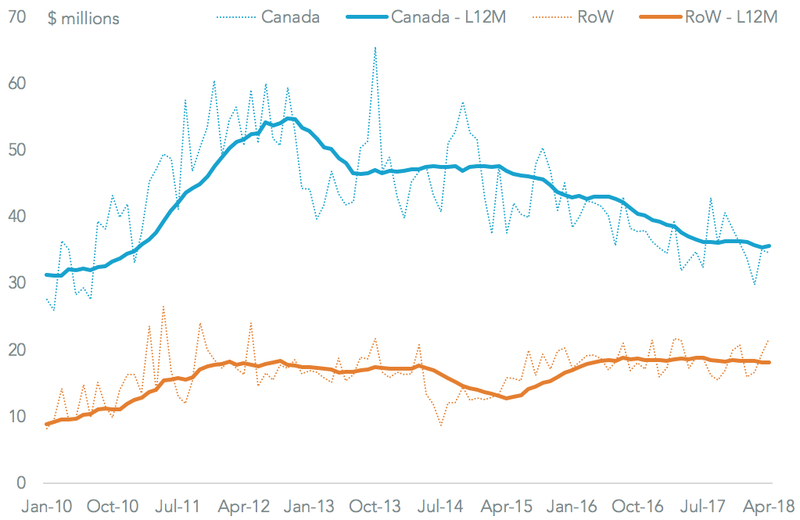 Furthermore there’s a risk that demand for onward supply to Canada may decline. The retaliatory duties applied by Canada related to U.S. section 232 metals duties, discussed in Panjiva research of June 29, includes coffee products. 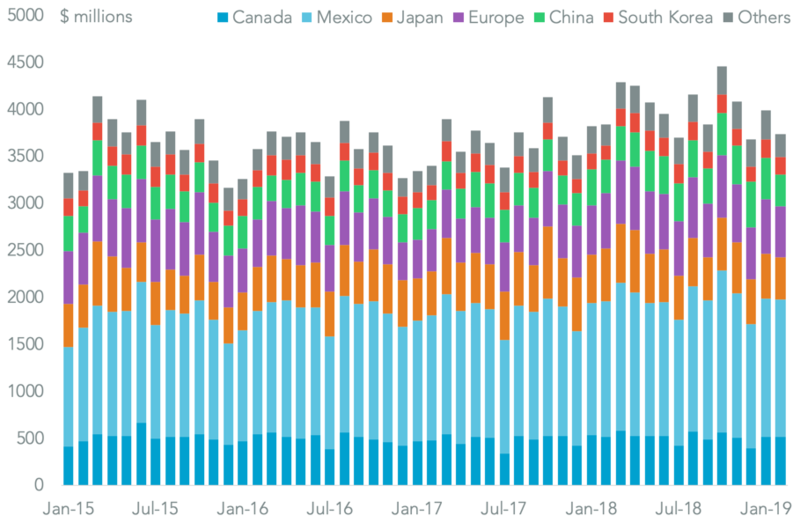 Canada accounted for 66.2% of the exports of those in the past 12 months, though in context the value of $428 million compares to 7.1% of American imports of coffee.